Social Security disability benefits are designed to help you pay for your costs of living when you are unable to work because of a disability. While many people who file a claim for benefits assume that they will be approved, the truth is that every year, hundreds of disability claims are denied. For those whose claims are denied, the future can feel uncertain, and knowing what to do next may be confusing. 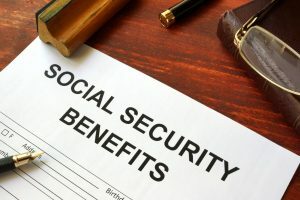 The experienced Chicago Social Security disability attorneys at The Comerford Law Office, LLC have experience in fighting back against the Social Security Administration’s denial of claims for benefits, and are ready to assist you during the appeals process. If you receive notice that your claim for Social Security disability benefits is denied, you have the right to appeal that decision. It is important that you take action immediately; federal time limits prevent you from pursuing an appeal if you do not file your first appeal within 60 days of receiving notice that your request for benefits has been denied. The first level is a request for reconsideration. During this type of appeal, you request for a review of your case by someone other than a person who was involved in the initial decision regarding your claim. During this stage, you have the right to present any new medical evidence that supports your case. If you disagree with the decision that is issued at the conclusion of the reconsideration, you may request a hearing before an ALJ. This is a more formal process in which you will appear before a judge, and answer any questions that the judge asks about your disability and inability to work. You may present any evidence to support your case during a hearing. If an ALJ again denies your request for benefits, you may request a review from the Appeals Council. However, while the Appeals Council will consider your request, it does not have to approve it. The Appeals Council will only accept your request, and review your case, if it believes that the ALJ made an incorrect decision during the hearing. Finally, if all other stages of the appeals process fail, your final hope is review by a federal court. This process is initiated by filing a lawsuit in federal district court, and is a step that should not be pursued without the representation of an experienced lawyer. The appeals process can be confusing, and even the smallest of errors during the process can result in a denial of benefits. At The Comerford Law Office, LLC, our talented Chicago Social Security disability appeals attorneys know how to help you, and will do everything we can to improve your chances of receiving benefits. For a free consultation, contact us today at 312-863-8572. Call us today at (312) 863-8572 or email info@comerfordllc.com for a free consultation.